cover for this mini album. I used some cuts made ​​in the Silhouette and the roles of a Brazilian brand. 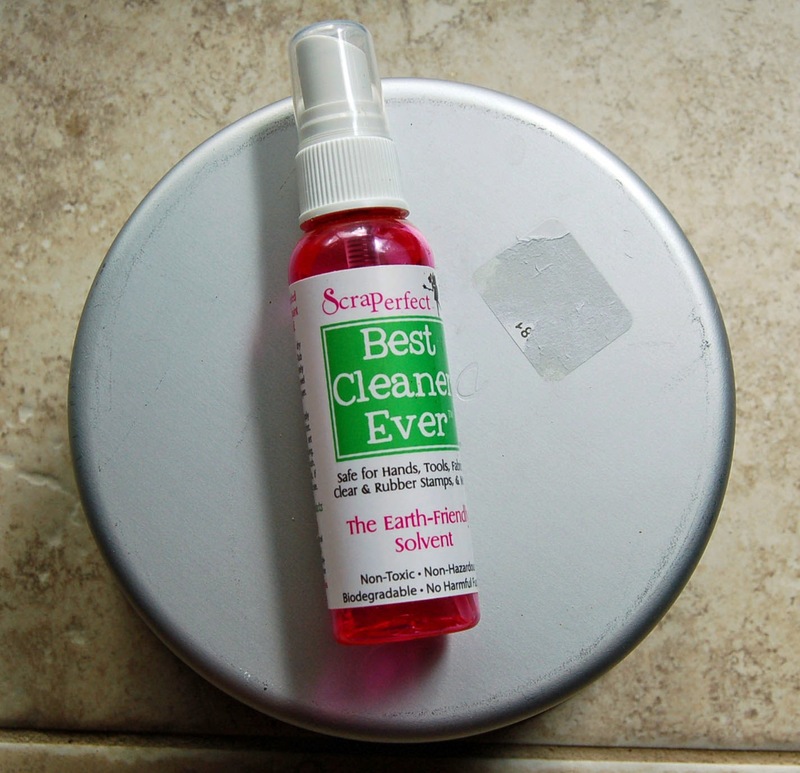 The Best Glue Ever from Scraperfect is very economical, just one drop is enough. 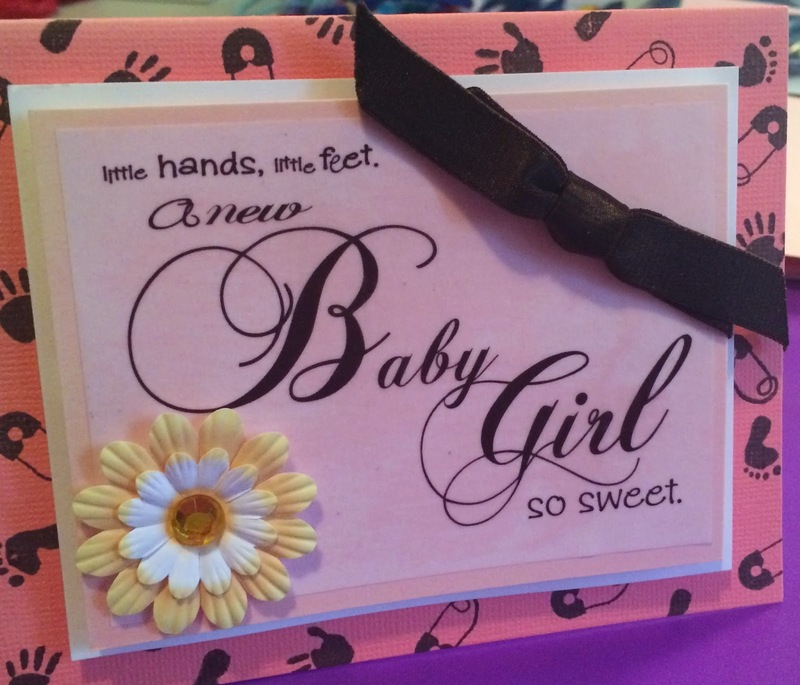 Hello ScraPerfect fans, Michelle here with a cute card for a lucky girl! 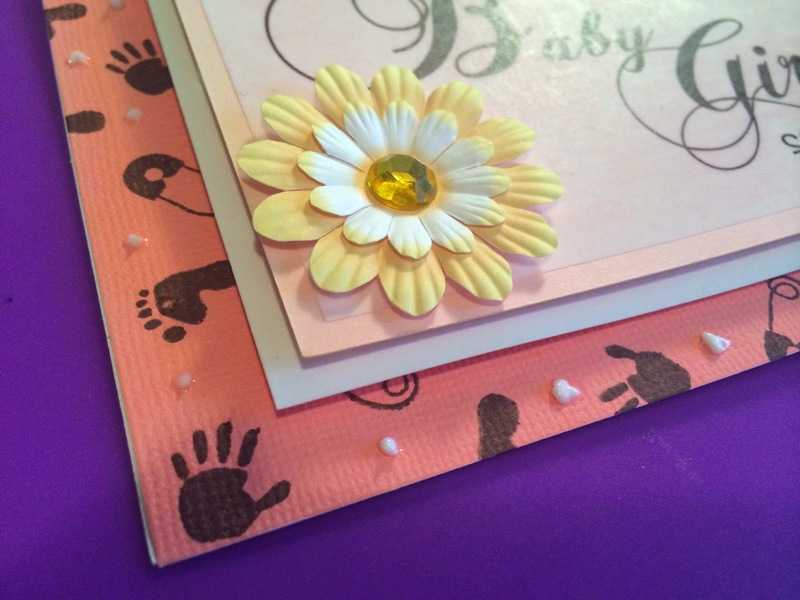 This a quick card to make because all the pieces used are pre-cut square cards used for quick easy mini albums. And using ScraPerfect products make it that much quicker and easier. I made the card base from cardstock cut 4 1/4" x 8 1/2", then scored and folded in half to create a card base that is 4 1/4" x 4 1/4". Then I used the 1/4" side of a corner rounder. 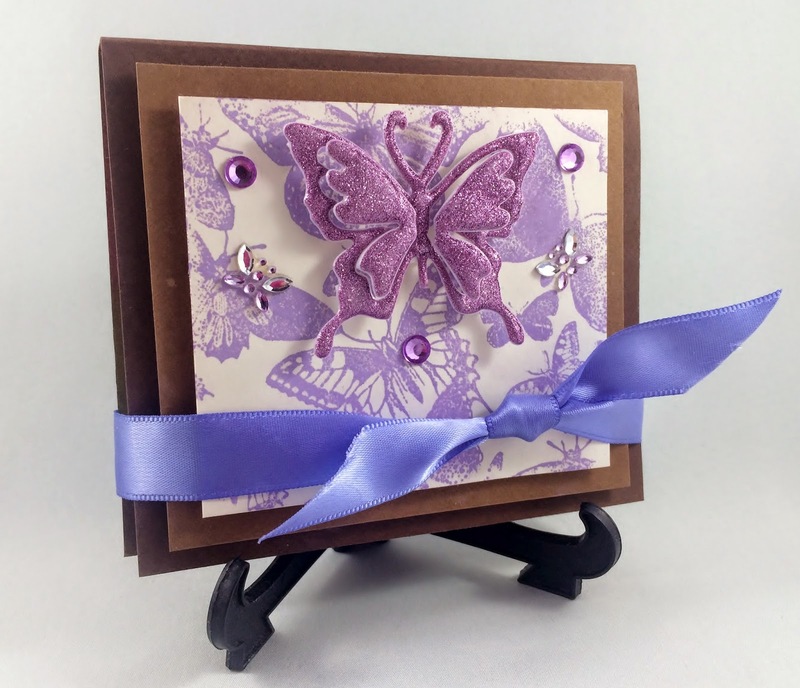 Used Embellie Gellie to grab the 2" square die-cut piece, while on holding the card on the Embellie Gellie apply the Best Glue Ever and use the Embellie Gellie to place the piece on the card. 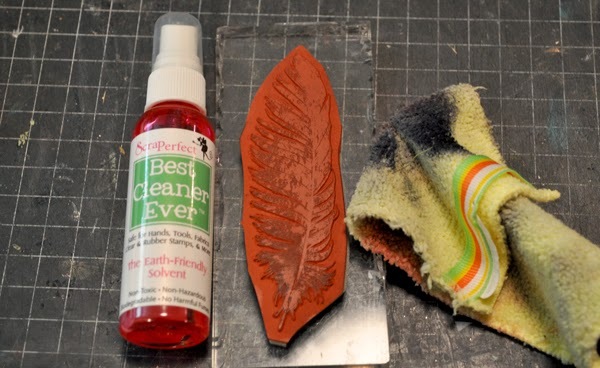 Repeat these steps with Embellie Gellie and the Best Glue Ever on the small wood veneer piece. 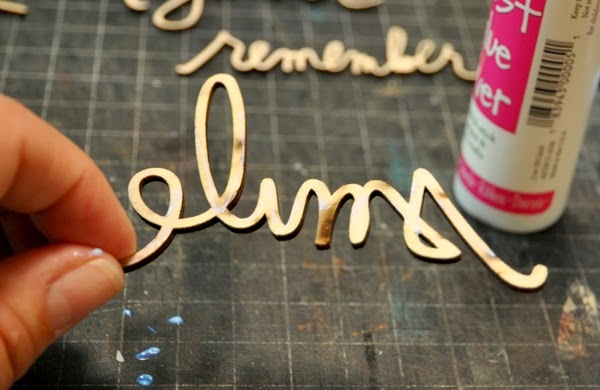 Embellie Gellie makes it easy too hold a small embellishment and apply adhesive and apply to a project. And there you have it, a quick, simple and cute card. Hello! How are our ScraPerfect Friends? Chelsea here. 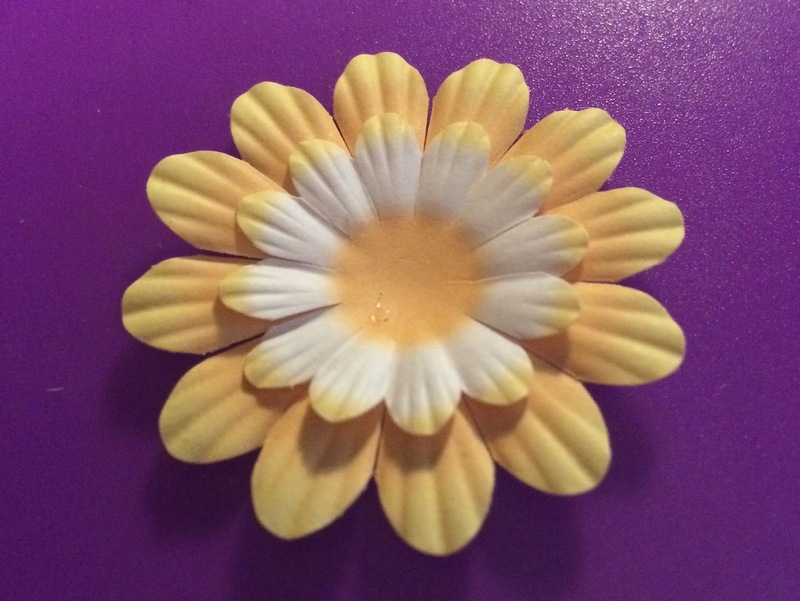 Today I would like to share with you an adorable Post It Note holder. 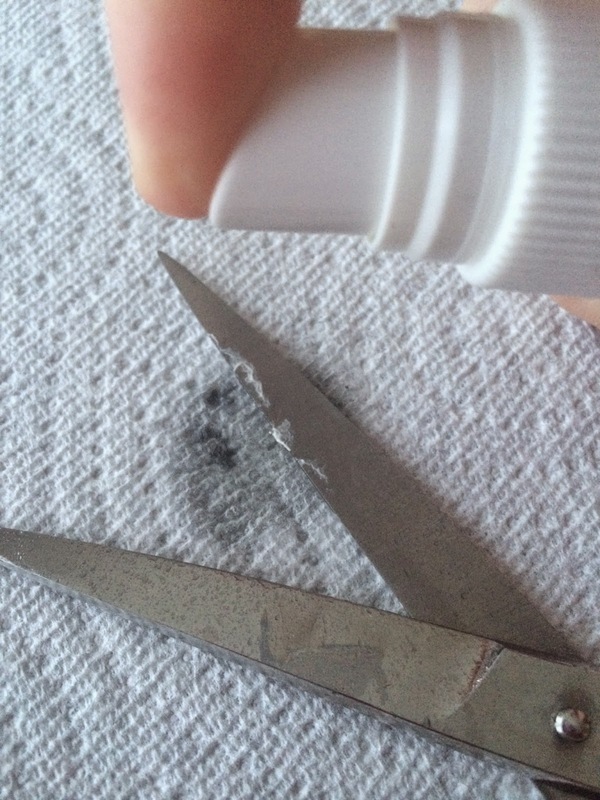 Let me break down some of the elements where I used the ScraPerfect products. 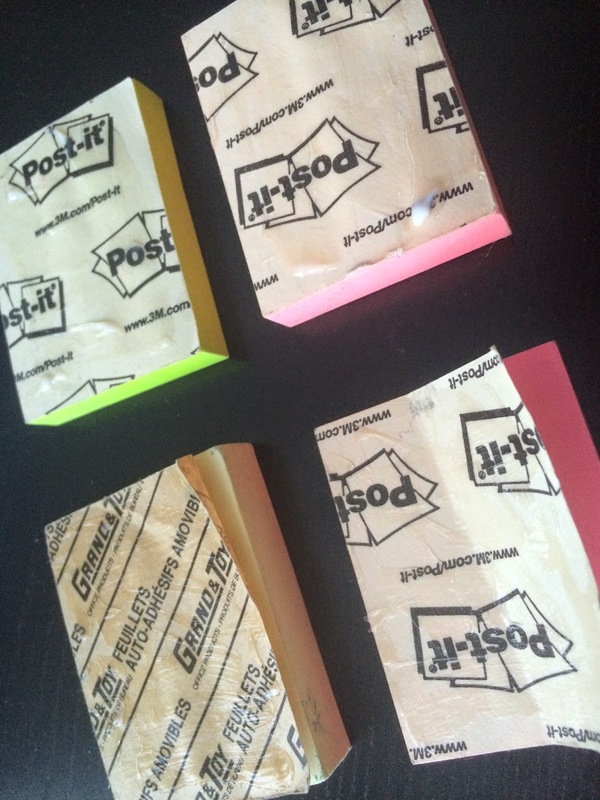 To begin, choose which Post It notes you plan to use (4 mini (2 x 1 1/2" each), or 1 large). I chose to use 4 mini (2 x 1 1/2" each) Post It notes for my project. 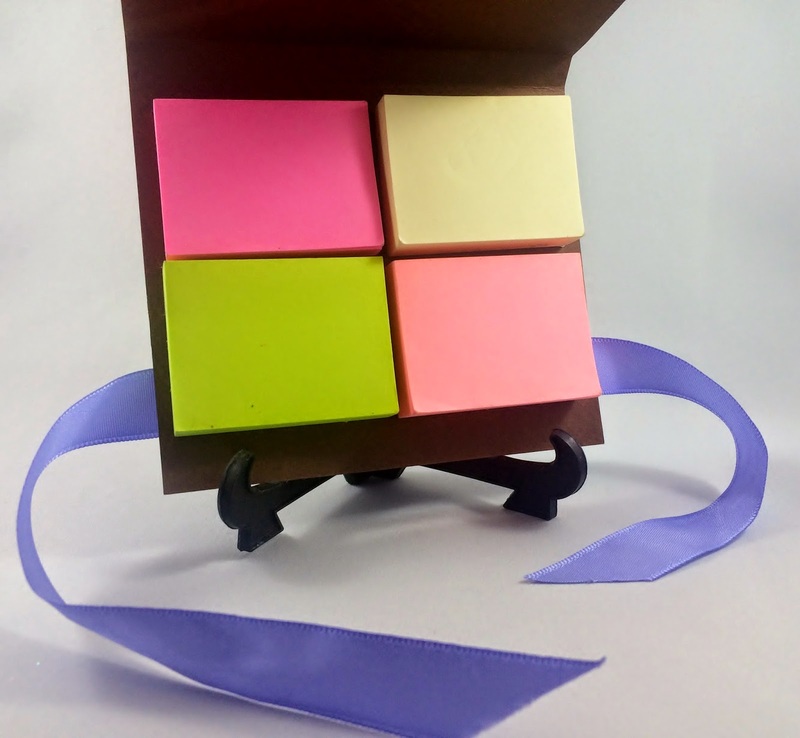 My finsihed Post It note holder measures 4 x 4 1/2 x 1/4 ". 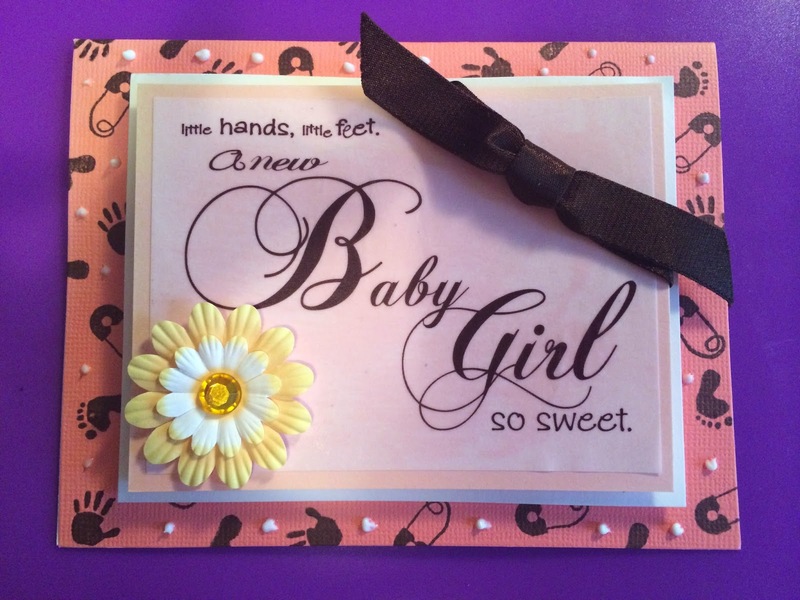 I began by preparing my card stock for stamping. No matter which type of paper I use, I always prepare it by applying my Perfect Crafting Pouch. 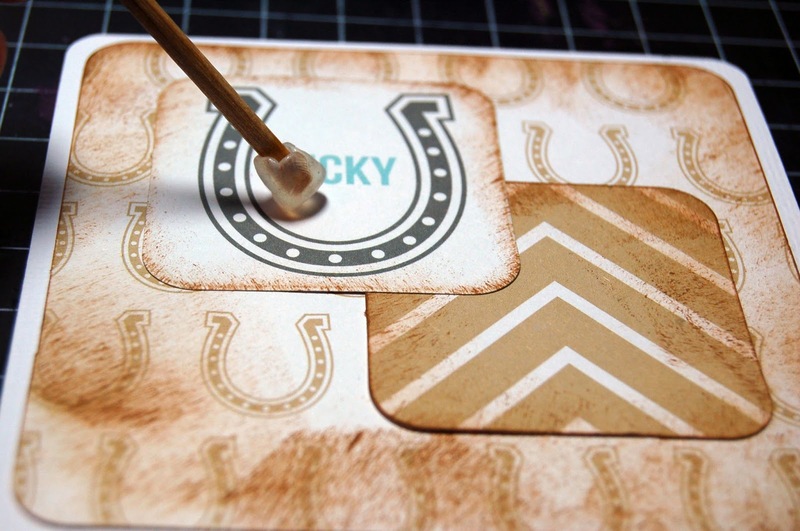 Swipe the Perfect Crafting Pouch over your piece of paper to ensure all stamping will adhere cleanly and also dry instantly. To attach my layers of card stock on the front I used pop squares. 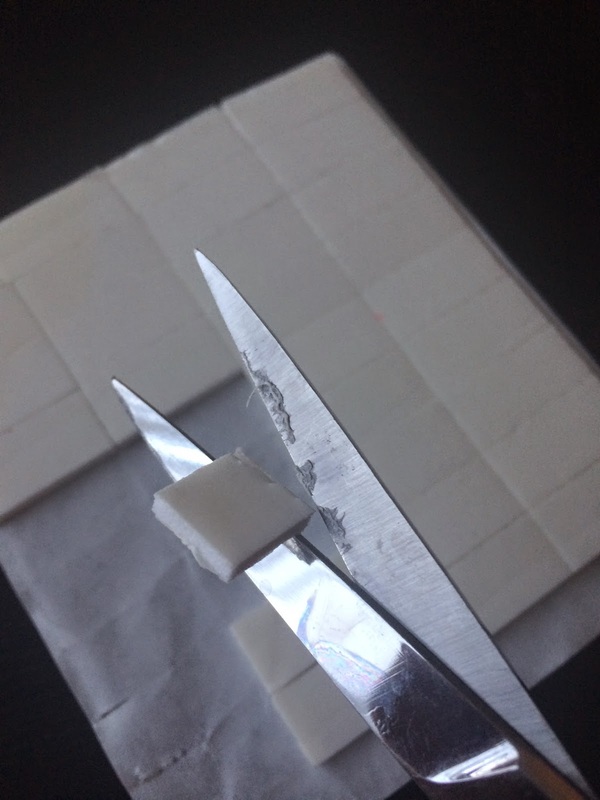 Alas, I discovered that as I was cutting through my pop squares my scissors were covered in sticky residue. 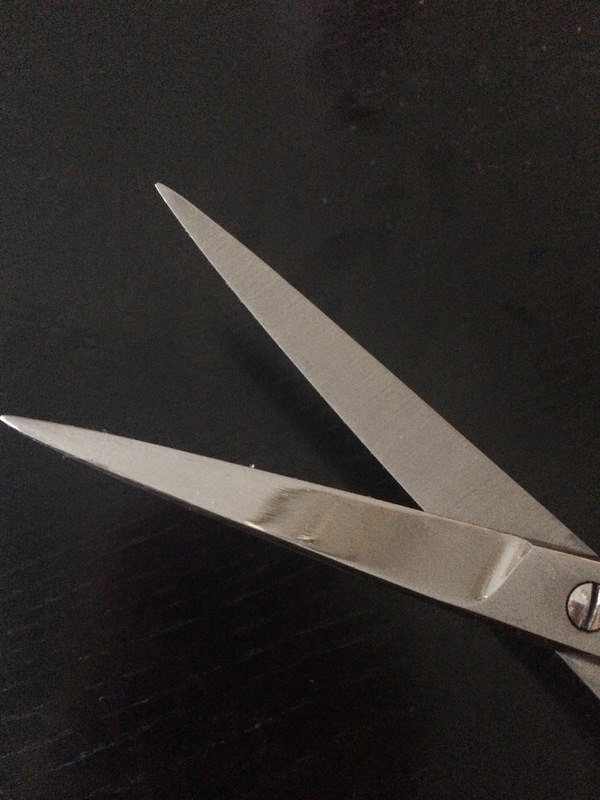 I sprayed the scissors with Best Cleaner Ever and set them aside for a few (3-4) minutes and then wiped my scissors clean with dry paper towel! 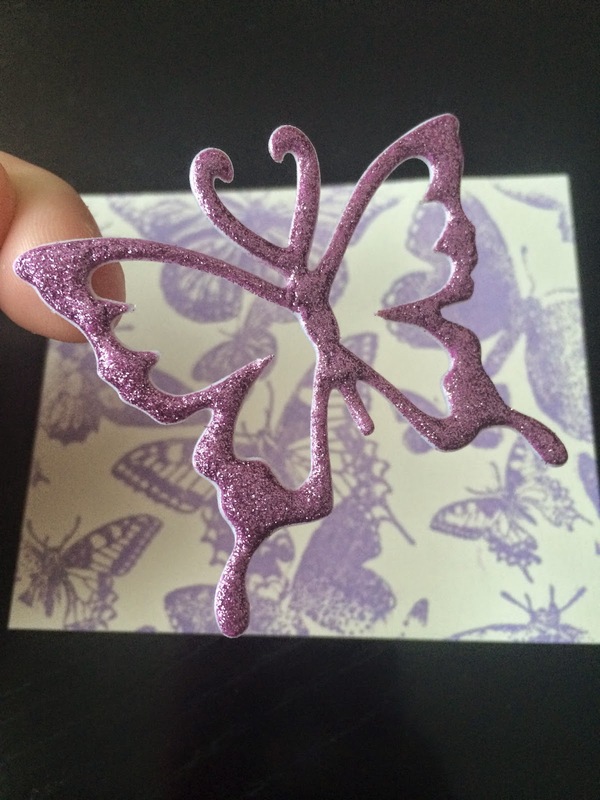 I had some gorgeous butterfly stickers that I thought would match perfectly with the butterfly stamped image that I stamped earlier; but, I wanted to pop the sticker off the page. The Perfect Crafting Pouch can unstick sticky stickers (destickify) - unstick sticky stickers, unstick sticky stickers, unstick sticky stickers - ha ha! Cool eh? 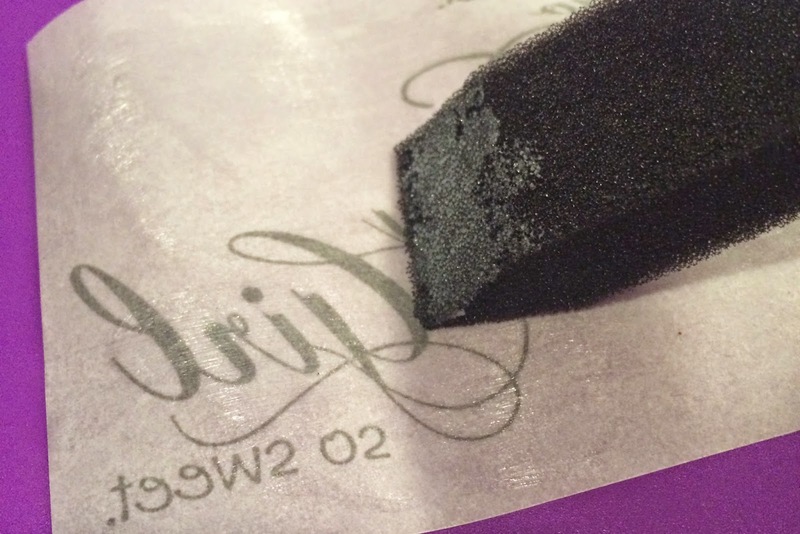 All you have to do is brush your Crafting Pouch on the sticky side of the sticker and instantly create a unsticky sticker; embellishment. Now you are able to use pop dots etc for a 3D image. 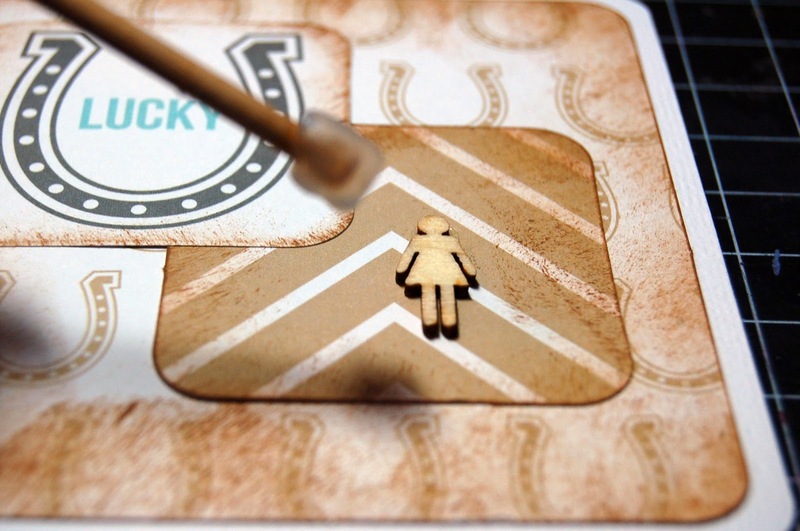 To apply the Post It notes inside your paper case apply a thin layer of BGE on the back page and let dry clear. If we had used the temporary adhesive from the post it notes it would not permanently stick and would fall off. In the meantime let's prepare the adhesive to attach the ribbon. Apply the BGE directly to the paper on the back of your project so the ribbon will wrap around to the front and tie your project together. Apply the BGE in the position where you wish the ribbon to adhere to. This is to avoid leaking and staining through the silk ribbon itself. Set this aside and let dry clear. 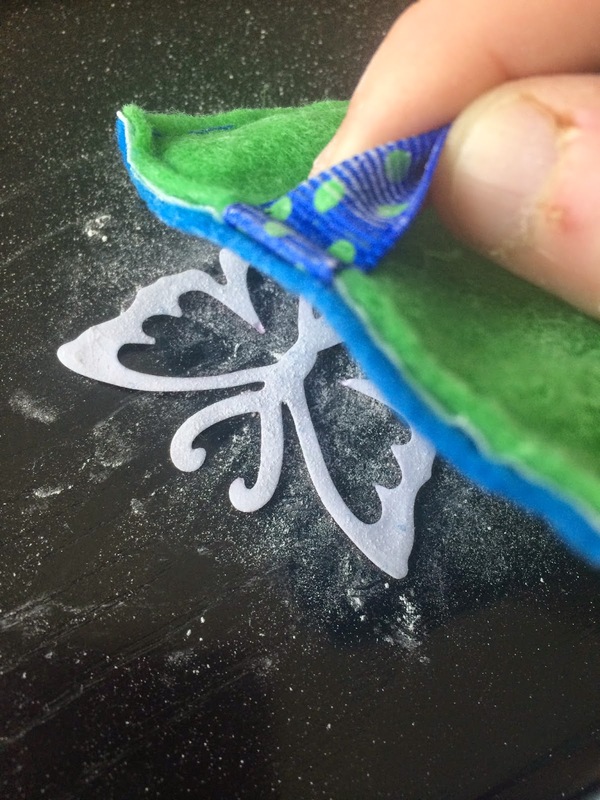 Give both the ribbon glue and Post It Note glue time to dry clear for a few (3-4) minutes. It won't take long as we only apply a thin layer. 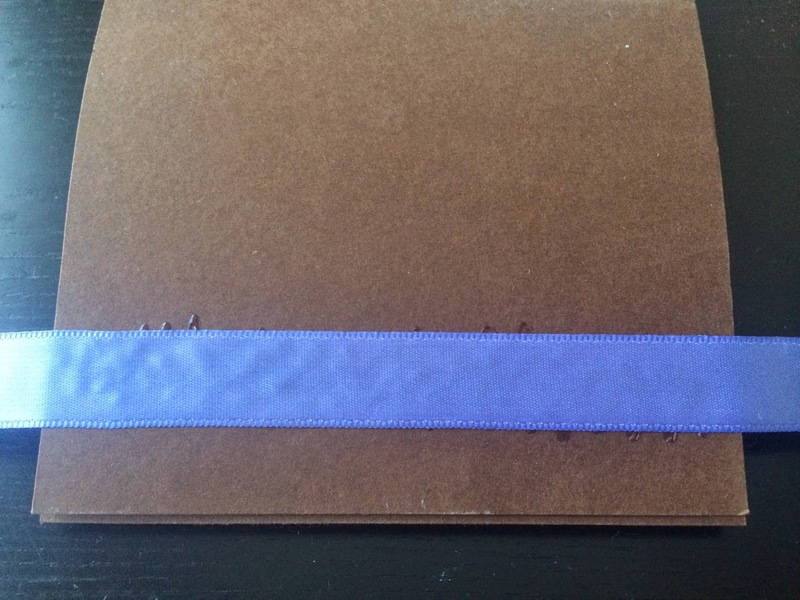 Adhere your ribbon to the glue on the back of your project first, pressing firmly. If you do not get it straight the first time do not panic. You can easily lift the ribbon and re-position it. That is the magic of the BGE! Now flip your project over to face the front. Adhere your post it notes to the interior of your Post It notes holder. This is a perfect gift for a teacher or anyone who may need reminder notes! 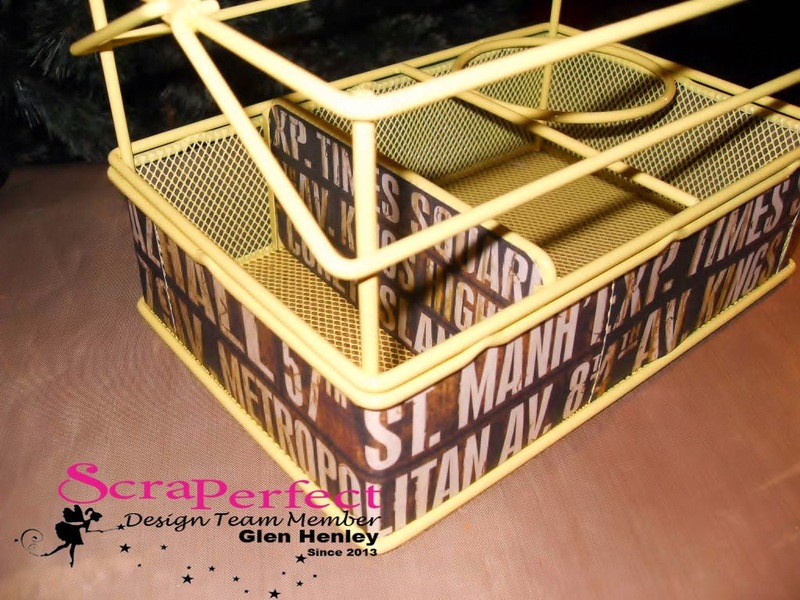 It's Glen here with another nifty project using the great products from ScraPerfect! I recently had to buy a new used car. It's been a long time since I drove a van but my 2001 Ford Windstar seems like a logical choice. The only problem is that with no center console I've got no place to put my coffee. This is a problem...I need my coffee on the way to work. I go to the automotive stores and find the only thing I can get is a $40.00 piece of black plastic junk. So I take action and go to my standby shop, T.J. Max. 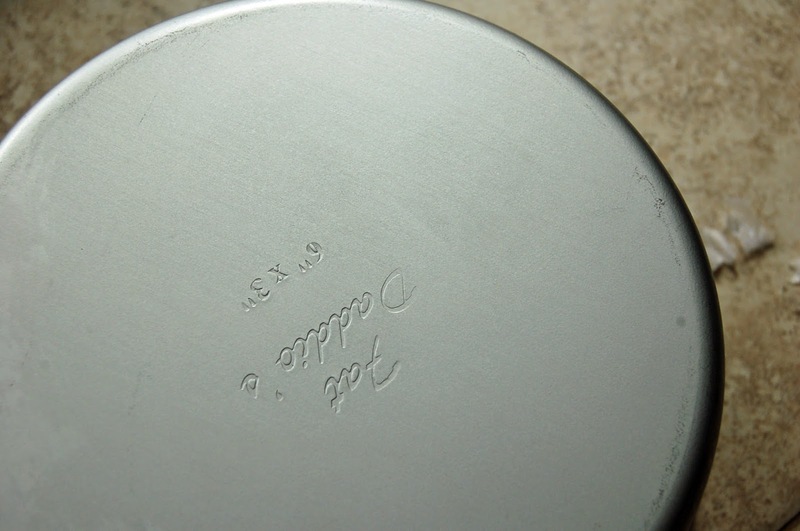 I find some cheap metal pieces that I can use to make my own center console cup holder. 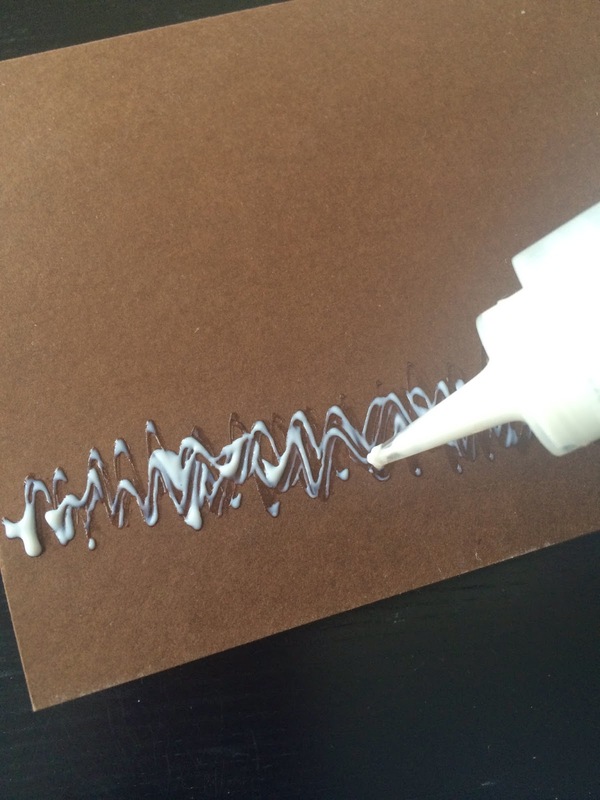 Then I find some cool paper that speaks to me and using the Best Glue Ever I apply it to the paper. 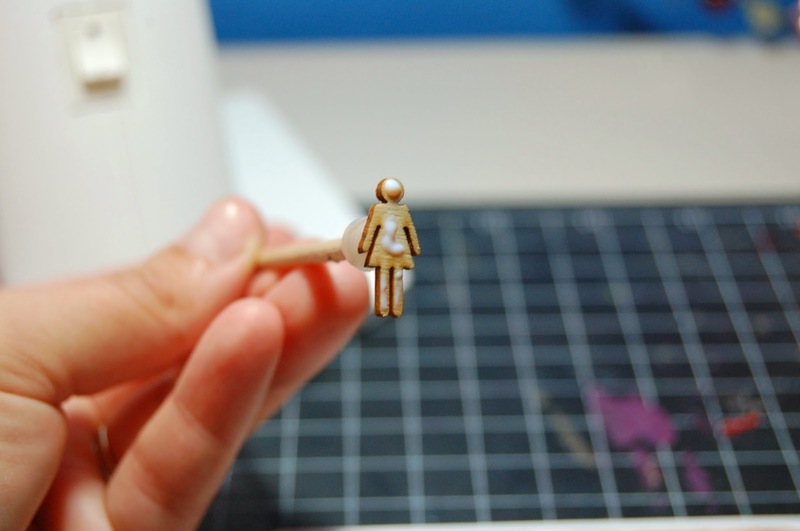 Using rubber bands to hold it in place I gradually transform my piece. 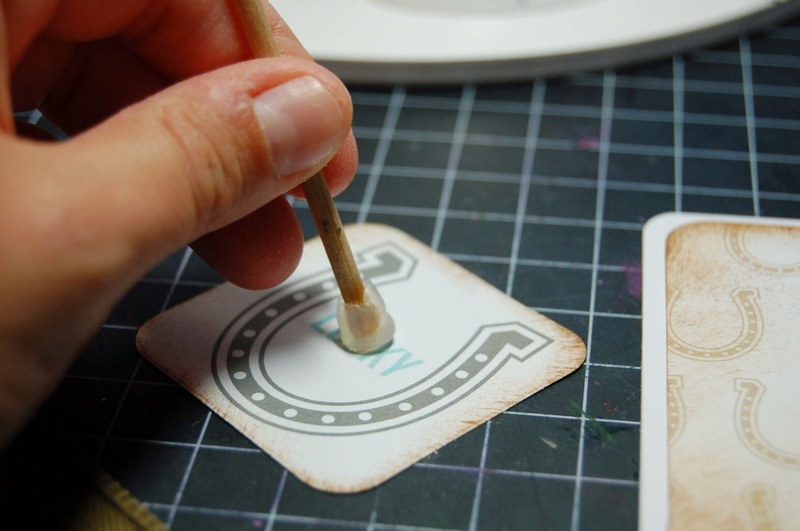 The No-Clog Writing Cap helps make this easy and after it dries I use it to reinforce any spots I missed. 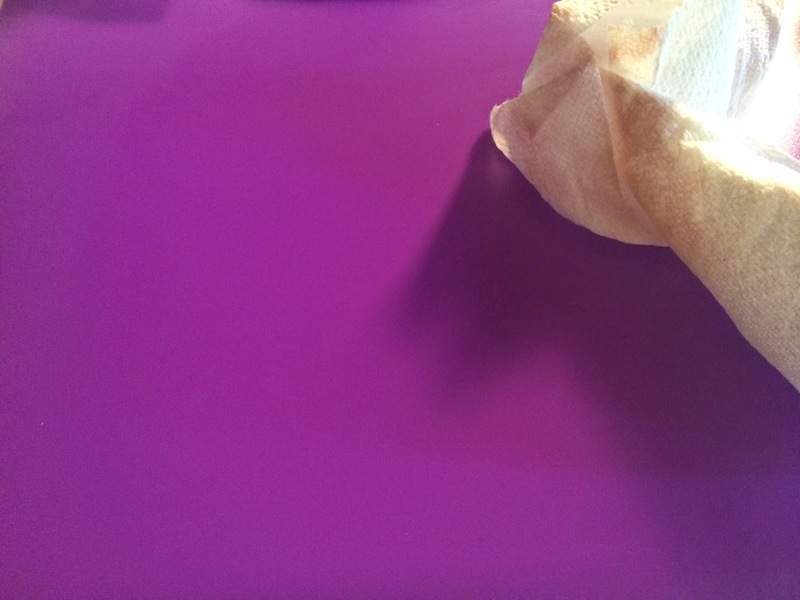 I hope you enjoyed this project and be sure to check out the other posts on this blog and the ScraPerfect home page for great products. PS...This piece cost just $3.99, that's a savings of about thirty dollars overall! Putting together this minialbum would be a lot harder without ScraPerfect. 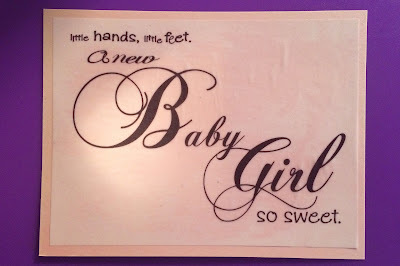 I'm using vellum, transparencies and wooden embellishments -- not the easiest to adhere or stamp on for that matter. This page is an adhesive's worst nightmare -- transparent elements on a transparent background. 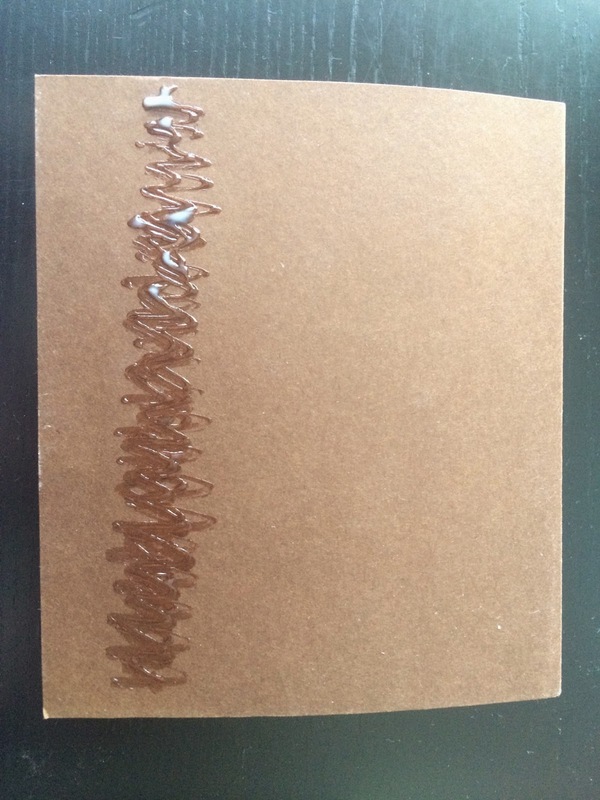 How do you glue something without your adhesive showing? 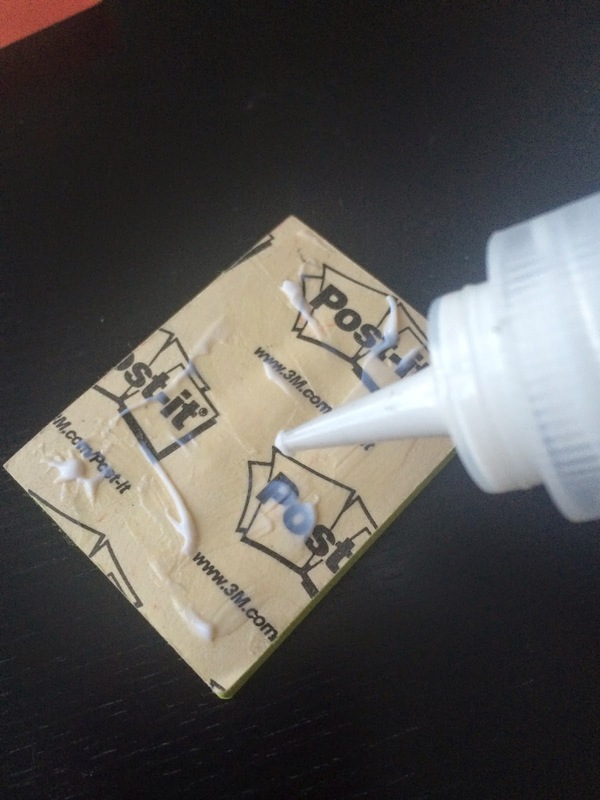 Use the Best Glue Ever! 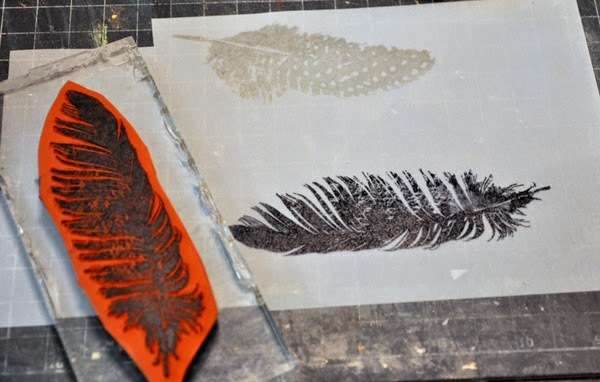 I like the translucent quality of vellum and I thought these feather stamps from Dark Room Door would be fun to use as embellishments. To help me stamp onto vellum I first treated the vellum with the Perfect Crafting Pouch. The Perfect Crafting Pouch helps the ink grab onto the vellum and give a better impression. Once I'm done stamping, I use the Best Cleaner Ever with my Perfect Cleaning Cloth to clean my stamp. I keep one cloth just for stamp cleaning. 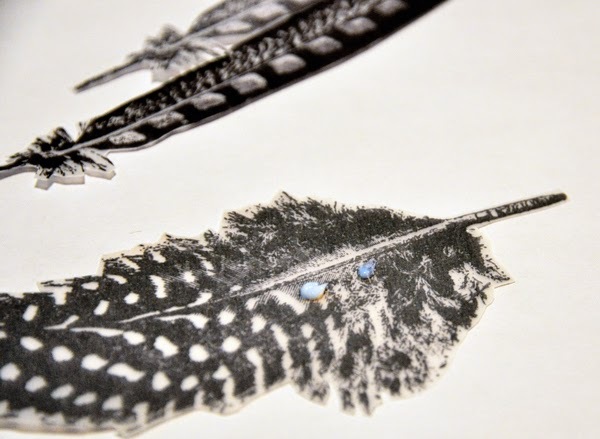 Once the ink had dried I cut out the feathers all I need to adhere them to my page is a couple of drops of the Best Glue Ever. I like to use my fingers to smooth out the glue on the back of the vellum for an invisible hold. 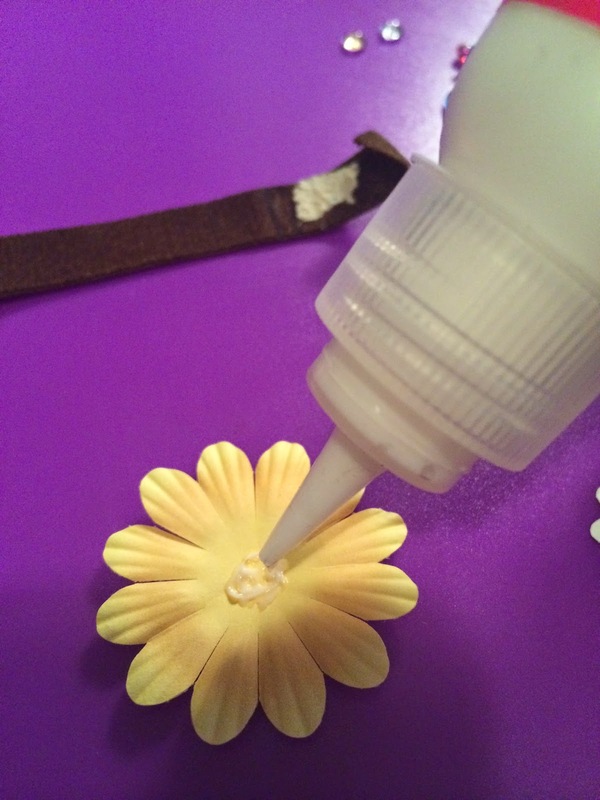 And the Best Glue Ever is also my favorite glue for wooden embellishments. Like the feathers, I applied some glue around the letters, then smoothed it out with my fingers, since my page is transparent. 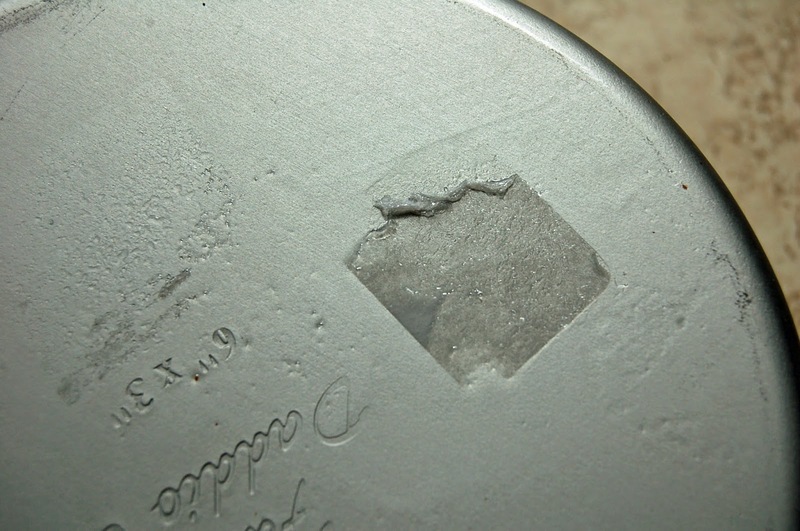 Hi ScraPerfect fans, Michelle back again with a quick tip to getting sticker residue off of a cake pan. 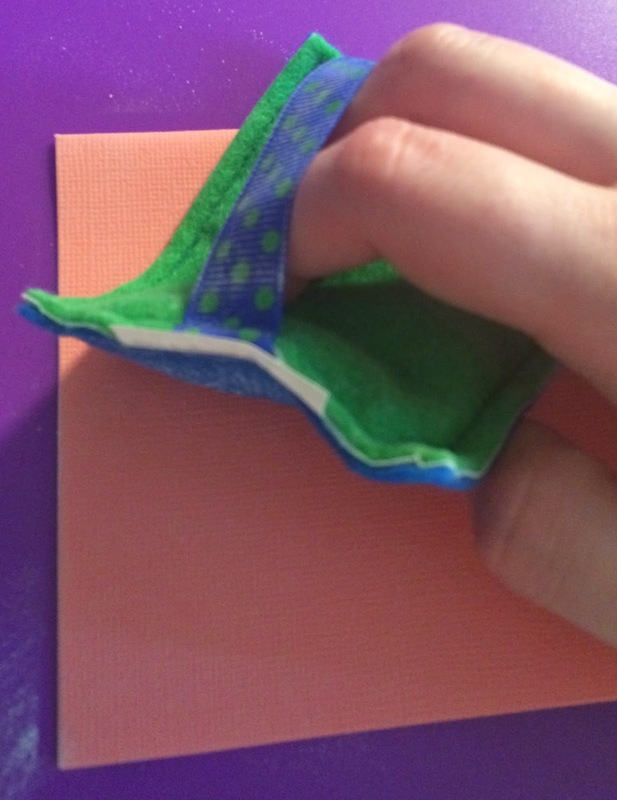 This will work on other surfaces as well and is a quick and easy way to get the left on stuff from price stickers at the store. 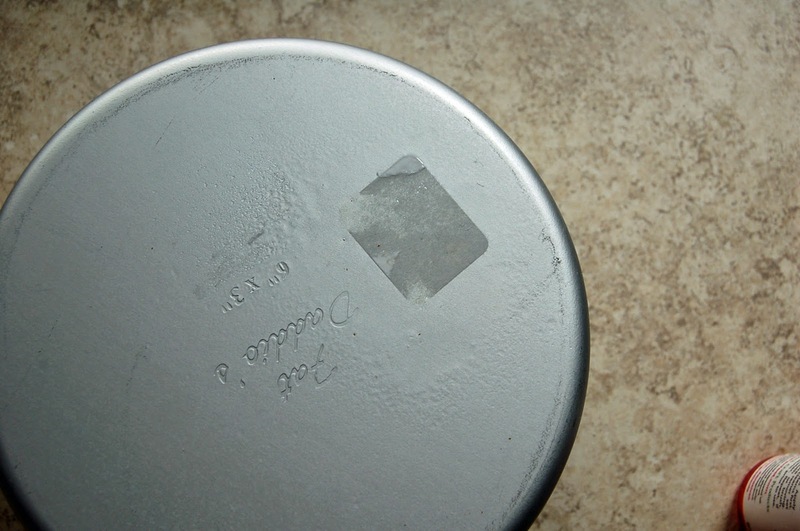 I removed the sticker, but there is still that sticky part left stuck to the pan. 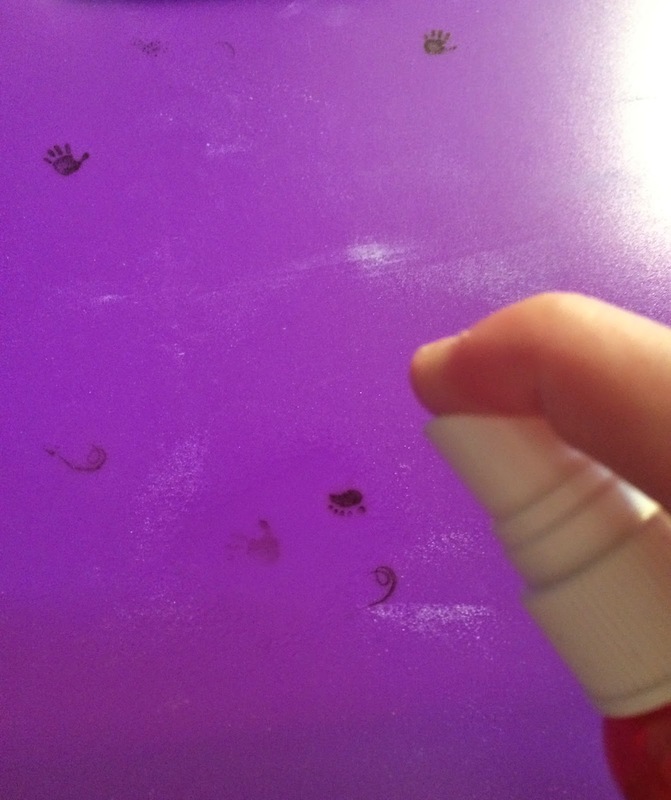 I sprayed a generous amount of the Best Cleaner Ever and rubbed over the spot a bit with my finger. I let it set for a few minutes and came back and gently scrapped the sticker residue with my finger nail. At this point it peels off easily. After I got the tag off, I put one more spray of the Best Cleaner Ever and again gently rubbed with my finger. I gently scrapped any little bits of excess residue and then rubbed clean with a paper towel. Easy and safe. 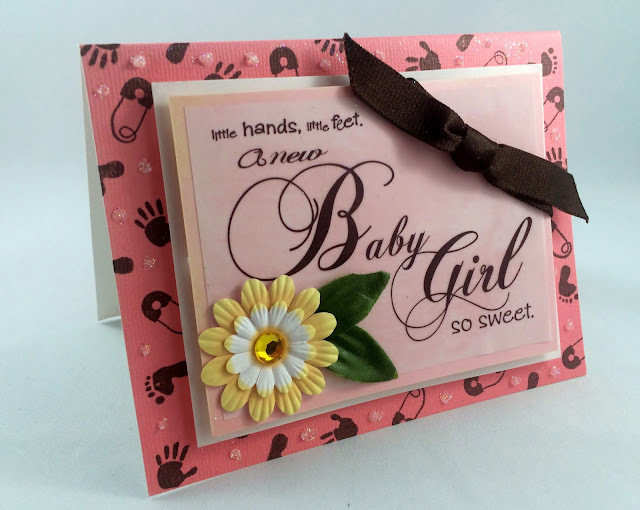 Good Morning, Chelsea here showing you how to make this gorgeous baby girl greeting card! This was such fun to make and it features many products from ScraPerfect! Let's get started! 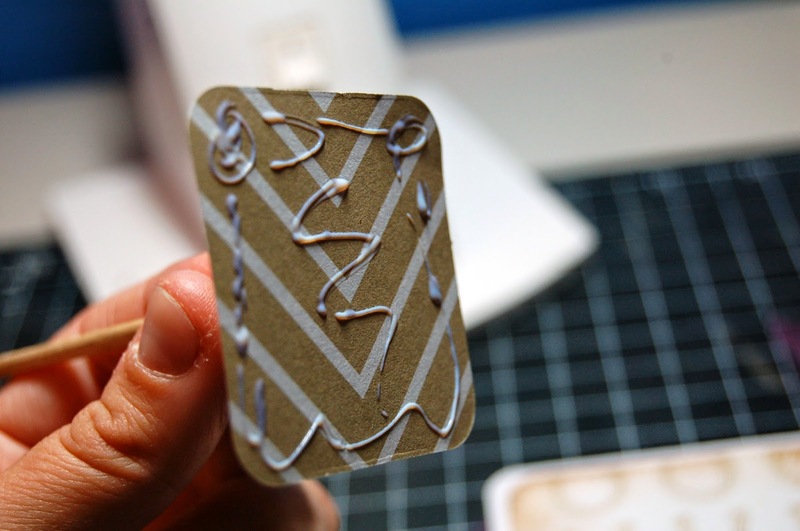 To begin using my Crafting Pouch I swept the textured base of my card to ensure my stamping would adhere cleanly. I absolutely LOVE how easily the Crafting Pouch allows you to stamp on virtually any material with ease. 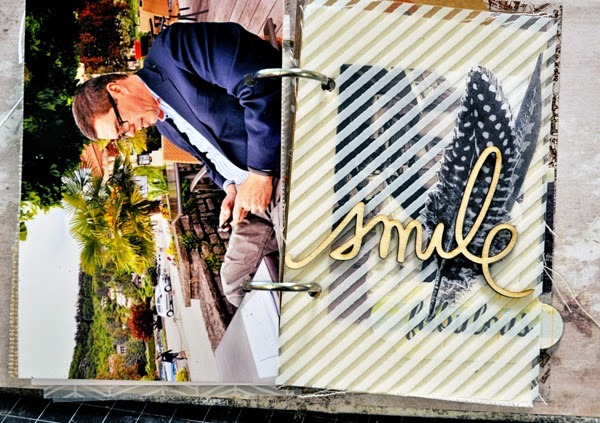 What a beautiful and professional job the Crafting Pouch allows you to do with no smudges, or partial prints. 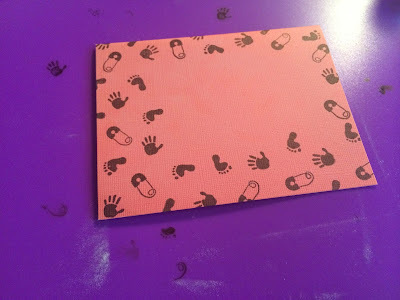 Clean stamp prints every time! As you see I did get some ink on my crafting mat. I was using Stazon ink. We all know how hard it is to remove Stazon but with the Best Cleaner Ever in just MOMENTS my craft mat is clean and ready to go! Incredible! The Best Glue Ever is simply amazing because you can apply it to any material without having to use different glues. It makes creating any project quick and easy. 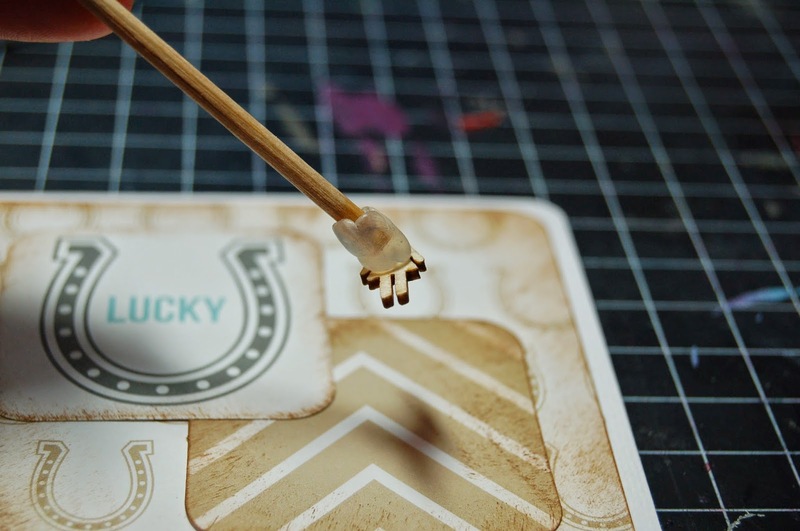 Let me show you a couple of ways I used the BGE for this baby card. 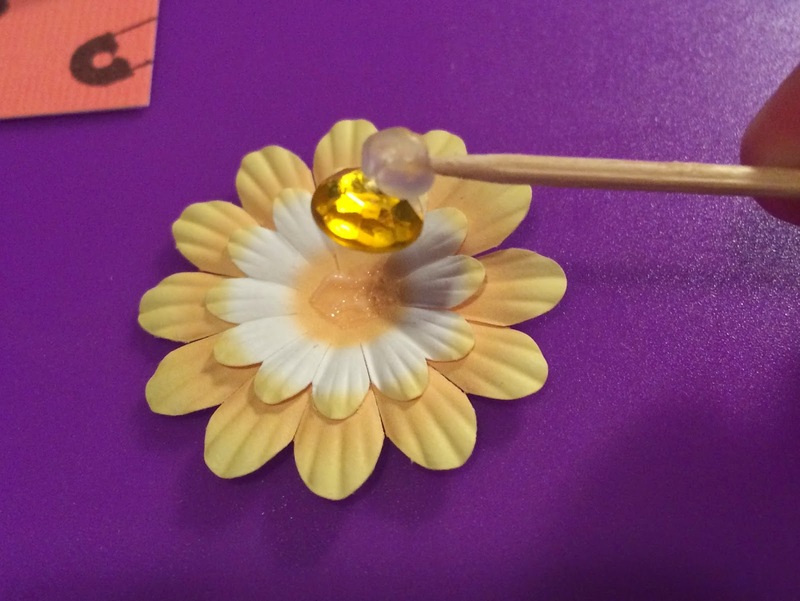 First I applied a small dab in the middle to adhere my two flowers together, as well as the gem for the center. BGE is perfect to apply to all paper types; even vellum as it dries clear! 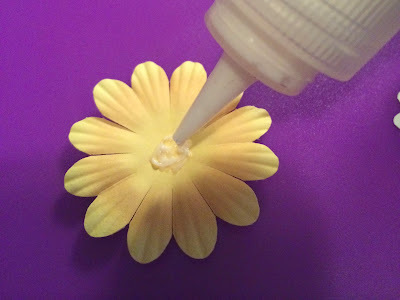 Using a sponge applicator I spread the glue thinly across the back of the vellum accent. Ribbon can be tricky to hold in place due to its weight but with the BGE its a breeze! Apply, let dry clear and adhere! Bonds tightly! Glitter! We all know how tricky glitter can be to apply and talk about those glitter glues that take hours to dry! 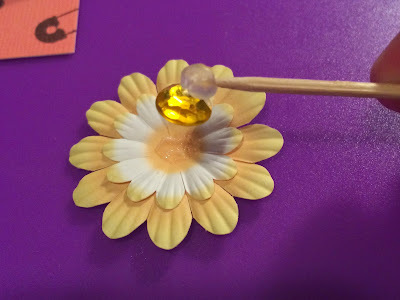 With BGE applying glitter is as easy as 1, 2, 3 and it dries in minutes. 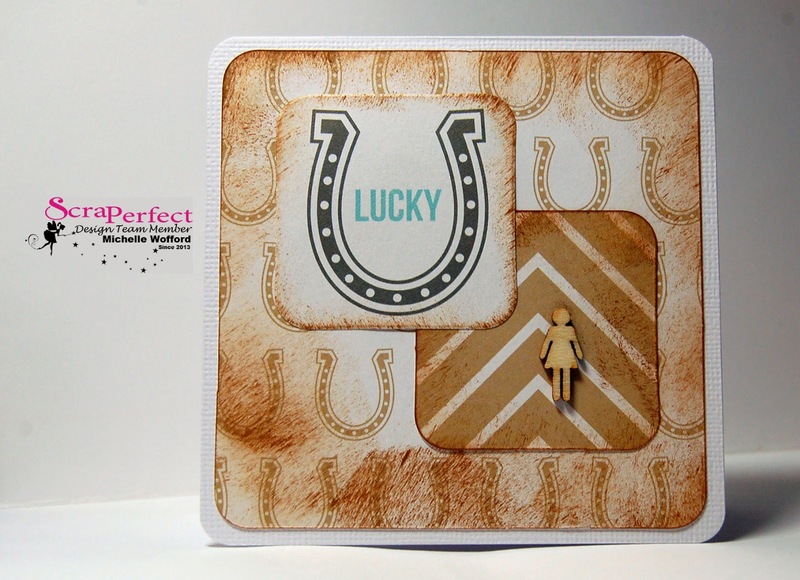 Using all products from ScraPerfect this card was created easily, without having tools, glues or cleaners piling up on the crafting table. 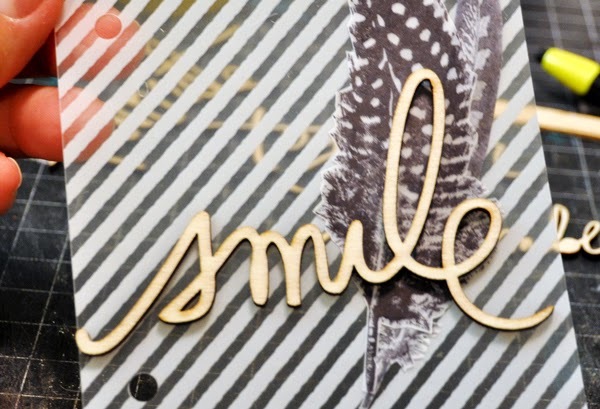 4 products with a multitude of uses! Grab your supplies today from www.scraperfect.com! Thanks for joining me! Happy Wednesday!